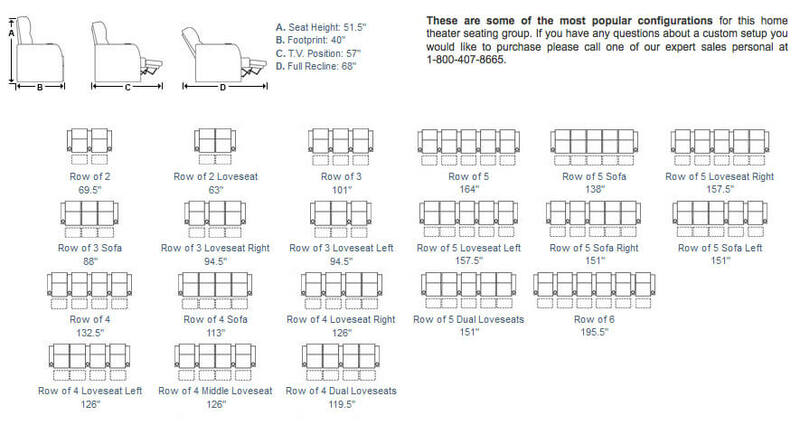 The Seatcraft Monterey is now offered as Back Row seating to allow better view for more guests without the need for risers. 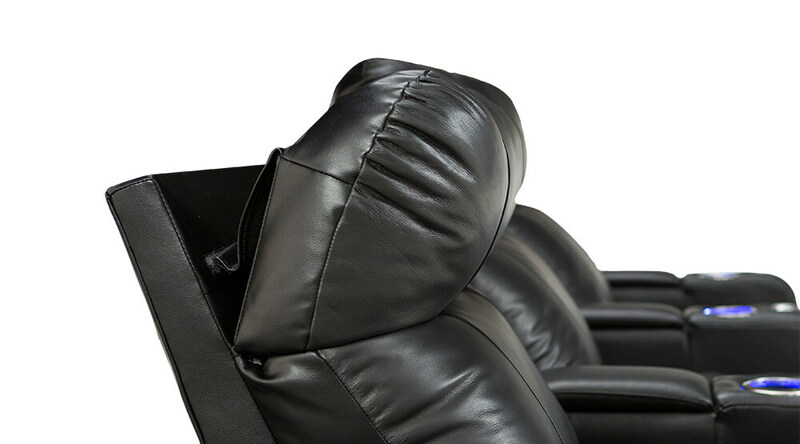 Comfort view is a quiet motorized headrest that adjusts to create perfect viewing position while your seat in reclined. 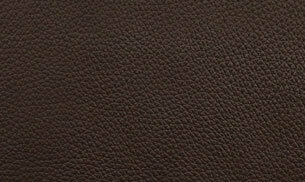 Seats come in grade 7000 leather with options of black or brown. Power recline mechanism easily adjusts with the press of a button to find perfect seating position. 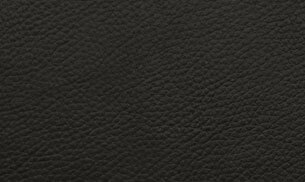 Cool gel foam is used so you may enjoy entertainment without any temperature discomfort. 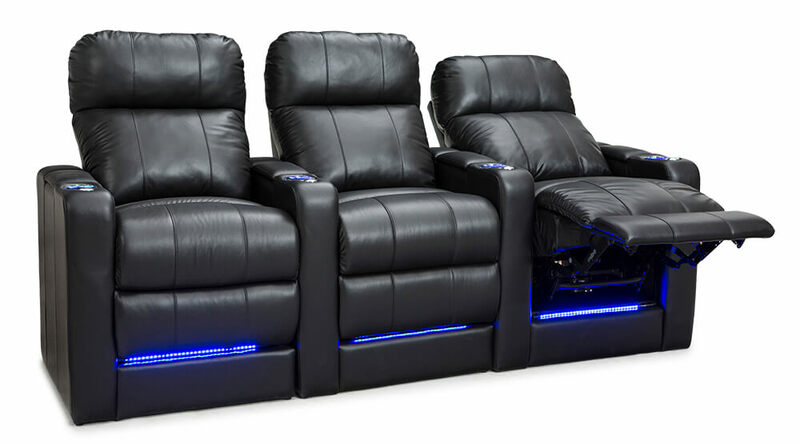 Each chair comes with a FREE tray table which can be stored on the in-arm storage. 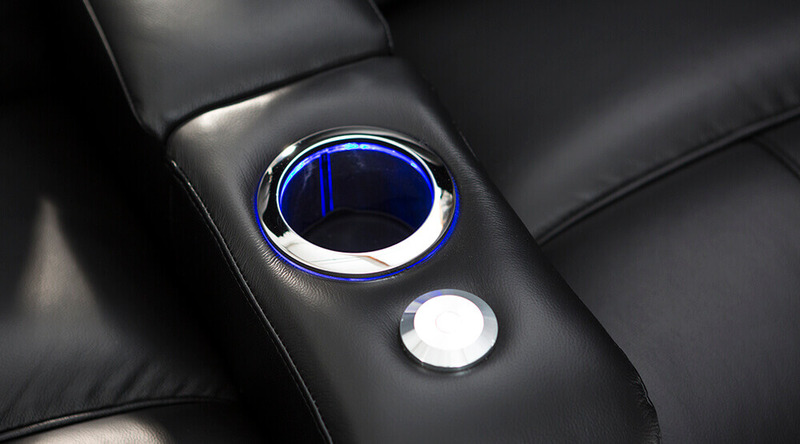 Lighted cupholders and base allow you to find seat and holder in the dark, and can be turned off and on from the cupholder. 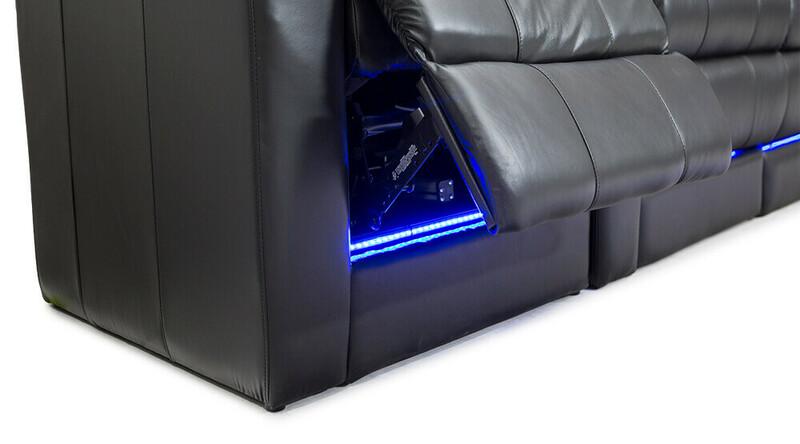 USB charging station allows you to charge all common devices from your seat. 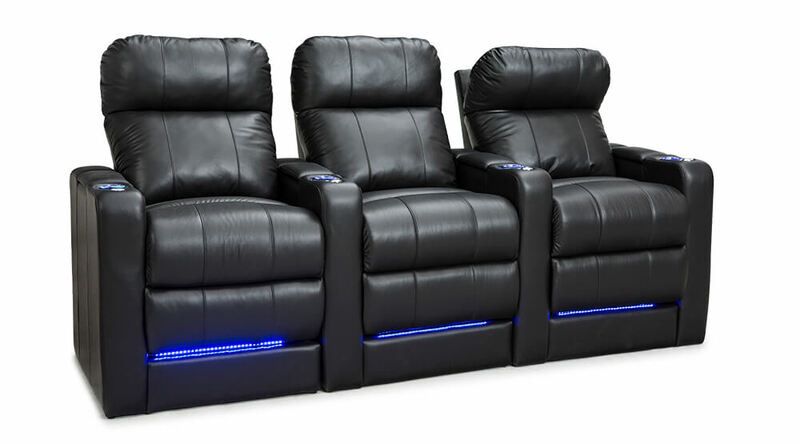 The Monterey Back Row is best purchased with a row of regular Monterey to capture all movie fun in the same comfort, quality, and relaxation that any home theater needs. 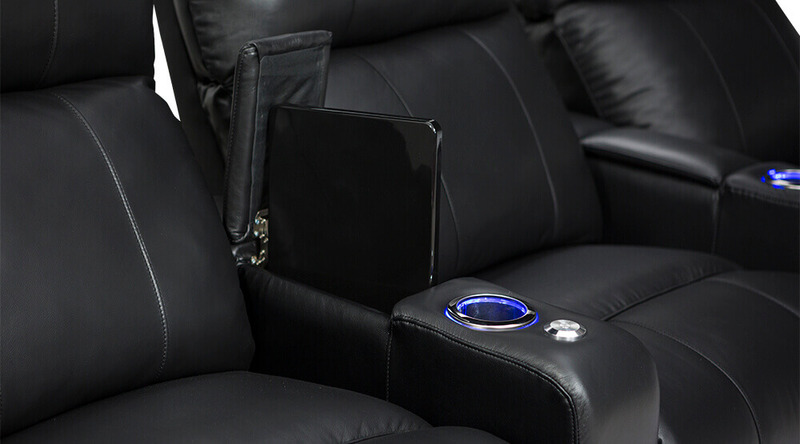 Ambient blue lighting for the cupholders. 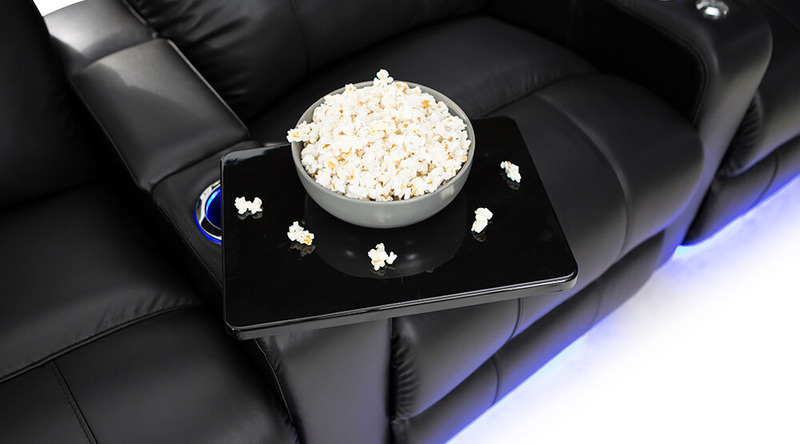 With its expert back row design, you or a guest can sit anywhere and be able to see the screen, without the need for risers!